Bridgwater will not be getting a northern bypass anytime soon. Sedgemoor District Council’s HPC strategy to pursue in town traffic improvements in place of a bypass is now widely known. It was delivered in no small part by an option report commissioned by SDC and others Strategic Options Appraisal of Transport Proposals In Bridgwater that came up with a scheme whose cost and schedule ensured that both EDF and SDC could kick the bypass into the long grass. Following on from the flood of 2014 the Government select committee Environment, Food and Rural Affairs Committee (EFRA) published its report in 2016 Future flood prevention. It proposed that common infrastructure with multiple uses should be built that would maximise value for money; in Bridgwater’s case a bridge with a tidal barrier is value for money. Despite the delay in the start of the Hinkley Point C and the promise of money for the Tidal Surge Barrier no councillor or official considered looking at or revisiting the bypass option. Logic said put a bridge on the barrier it makes sense. B300 was a project that started life in 2013 six months before the 2014 floods; it is a commercially viable scheme that includes a proposal to relocate the proposed Bridgwater Tidal Barrier downstream of Dunball and incorporate a road bridge over the River Parrett. The road bridge providing the important first stage of a Northern Bridgwater Bypass and allowing the expansion of Bridgwater to the north of Chilton Trinity. Technically there are no major issues with building a barrier downstream of Dunball and in someways its simpler and easier than the proposed site. No need for a diversion channel. The EA did work during its option studies that indicated that if the Bridgwater Tidal Barrier is sited downstream of Dunball the flows in the river system of the River Parrett and King Sedgemoor Drain would be increased ; there was fluvial as well as tidal benefit . Nor is it difficult to put a bridge on the barrier structure. 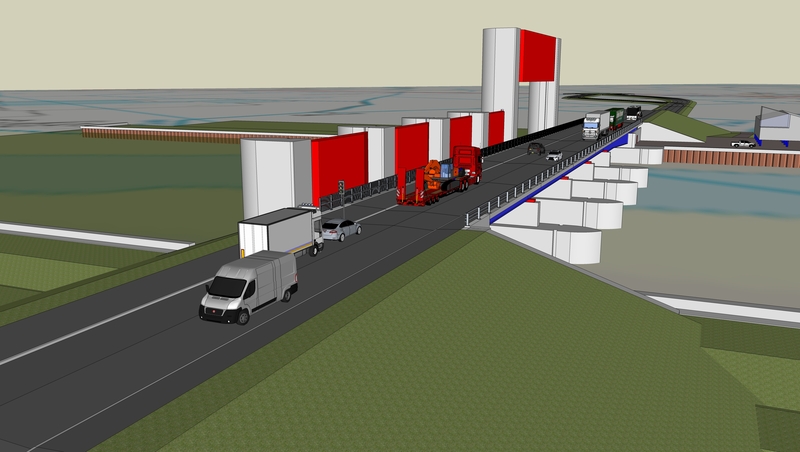 Experience gained on such projects as the Severn Second Crossing brought the costs of the alternative scheme towards the budget for the EA’s proposed site near the Police Station. B300 also proposed to close the gap between the end of the Polden Hills and Wembdon Hill sealing off the South Somerset Level’s from the sea. A proposal with considerable greater integrity than the present novel scheme of an in- town tidal barrier and raised river banks on ground that cannot allow the process of raising them to continue into the future . The B300 scheme would have seen everyone protected and new banks that could be raised in the future unlike the existing scheme that is limited by existing ground conditions. There was a solution and the additional funding available to deliver a large more comprehensive scheme including tidal flood protection to 1:10,000 return period compared to the 1;200 offered by the EA, a development including low energy homes and industry. The problem is that not all landowners want it. They reason that the ratepayer will ultimately build a bridge to their land and they will not need to make a contribution to the cost, The landowner taking maximum possible value whilst someone else (SDC ratepayers) pay. Sadly with the EA delivering its Business Plan at the end of the 2017 those few landowners have run the clock down and the opportunity to implement the scheme is fading. If a bridge is built sometime in the future as part of a bypass linking the M5’s Junction 23 to Cannington both rate and taxpayer will have paid twice for work in the River Parrett that could have been done once. The aims of the EFRA report on taxpayer value for money will have been completely ignored and the rate and taxpayer left to pick up avoidable costs. It will also mean that the opportunity will have been lost to protect a larger area of land from the sea and with it the safeguarding of Bridgwater’s future economic expansion to the North West. Bridgwater’s economic expansion and long term flood security sacrificed largely through a sense of entitlement ingrained in many members of the farming community. Landowners and farmers were recently given assurance on the long term protection of land Chilton Trinity and the Pawlett Hams. People cannot expect to be immune to their decisions; landowners should not expect those that foot the bill (ratepayers) to miss out on better tidal flood protection. Sedgemoor District Councils’s ratepayers should now carefully consider if supporting landowners at Chilton Trinity is acceptable or whether retaining the EA’s current plan to save money through planned managed realignment of the River Parrett is preferable. There is good reason that the current managed realignment should be implemented as described in Parrett Estuary Flood Risk Management Strategy. The economic benefit of maintaining the land is small and of no consequence to the majority of SDC ratepayers. SDC ratepayers should therefore not be expected to provide long term financial support to protect landowners’ assets in Chilton Trinity when a few landowners chose to do nothing and actively block improved flood protection to their land. 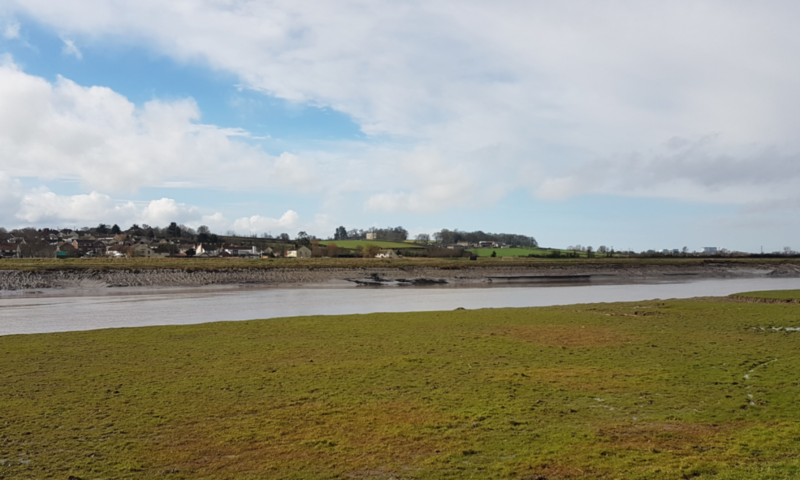 It is an issue that needs to resolved before the EA and SDC formalise the commitment to farmers in Chilton Trinity on maintaining the river banks and the liability of the maintaining the banks of the River Parrett is added to the tax and ratepayer’s shoulders. This is the second time in a decade that Bridgwater has squandered an opportunity to create a bypass, HPC was the first and SDC chose road improvements over a bypass. This time a few landowners are blocking a possible £500M scheme moving forward that would have provided better flood protection for all and possibly a route for EDF. Public money is being squandered on a single use structure ,Bridgwater Tidal Barrier, as well as the opportunity to secure the future of Bridgwater.